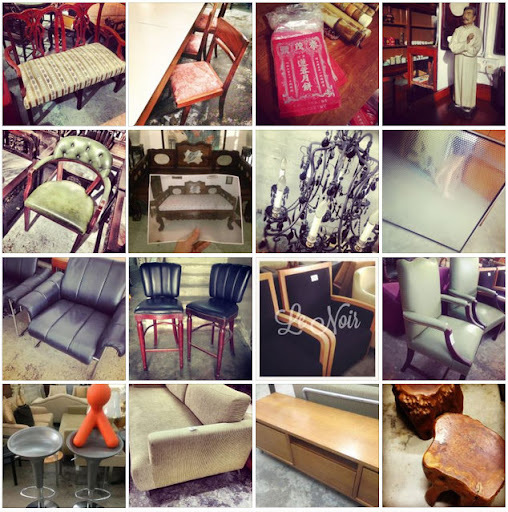 Home » Used, Vintage, and Antique Furniture Stores » Vintage Furniture Stores » Hock Siong & Co.
Hock Siong & Co. is one of the bigger and more established used furniture business in Singapore. The company deals with a wide range of preowned furniture and items for living spaces, but used hotel furniture is their specialty. If you’re looking for charming pre-owned furniture for your home, there’s a good chance that you’ll find something that you like at their store. The boss of Hock Siong & Co. – Mr Toh Chin Siong – has been in the business of second hand furniture for over a decade, and in that time, he has methodically built Hock Siong & Co. up to be a well known brand, with a loyal customer base of vintage furniture lovers. Nowadays, his daughter, Brillyn, helps out with many of the day to day operations of the company, she’s also incorporated modern elements into the companies marketing efforts – one such example being their Facebook page, where they share many nostalgic photos of their furnitures and items with their considerable fan base. If you’d like to pay their store a visit, their address is 153 Kampong Ampat, #01-03 Junjie Industrial Building, Singapore 368326. Their operating hours are 9:30AM – 5:50PM, Mondays to Sundays.